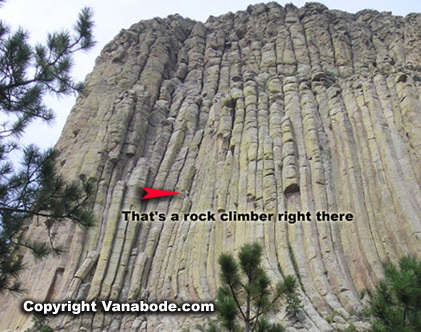 Devils Tower - travel information, rock climbing, hiking, campgrounds. Devils Tower National Monument is our nations first national monument, this striking geologic wonder rises 1,267 feet above the Belle Fourche River in northeast Wyoming. American Indians consider Devils Tower to be a sacred area for prayer, worship, and renewal. There are seven miles of hiking trails at Devils Tower. 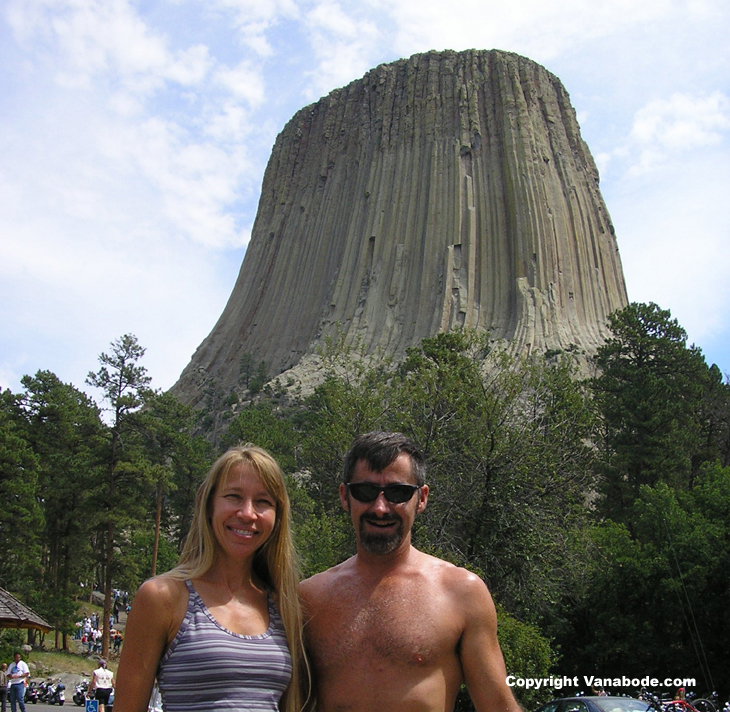 The most popular, Tower Trail, a 1.3 mile paved trail circles Devils Tower itself. The longer trails traverse tranquil forests and meadows and offer different views of Devils Tower. Visit The Alamo in San Antonio as well as missions and famous Riverwalk. Rock climbing at Devils Tower is a popular recreational sport and is acclaimed as one of the premier crack climbing areas in North America. Ranger programs, interpretive talks and evening programs are available at the Visitor Center. Devils Tower is open year round. Park entrance fees for seven days are $10 for in individual vehicle pass and $5 for either pedestrian, bicycle or motorcycle pass. Very limited Class A parking with some Class C parking. We highly recommend calling ahead. 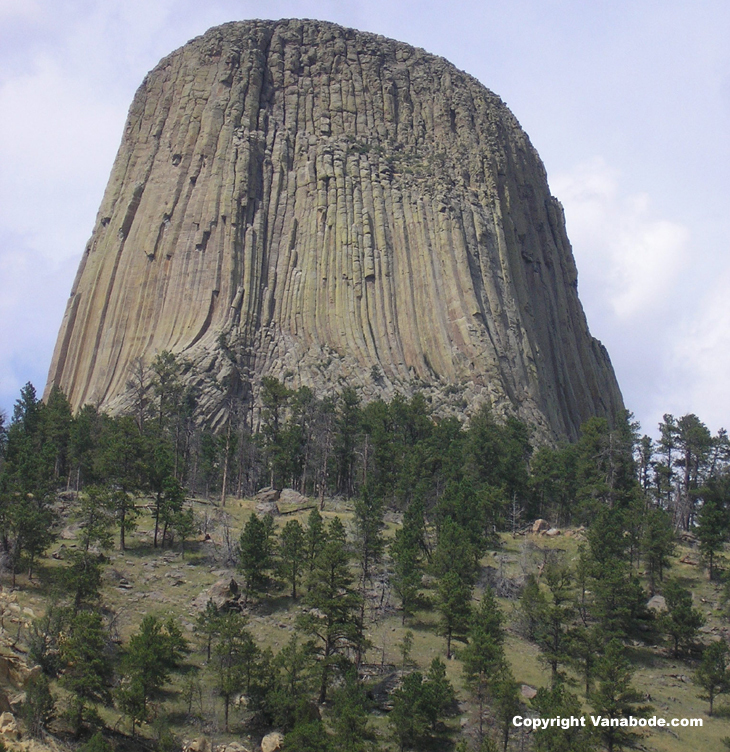 Travel info - Devils Tower National Monument is located on Highway 24 in Devils Tower, Wyoming. Map location of Devil's Tower National Monument. Click to go back to Sturgis diary. Click for Sturgis rally pictures. Click for main Destinations Guide.